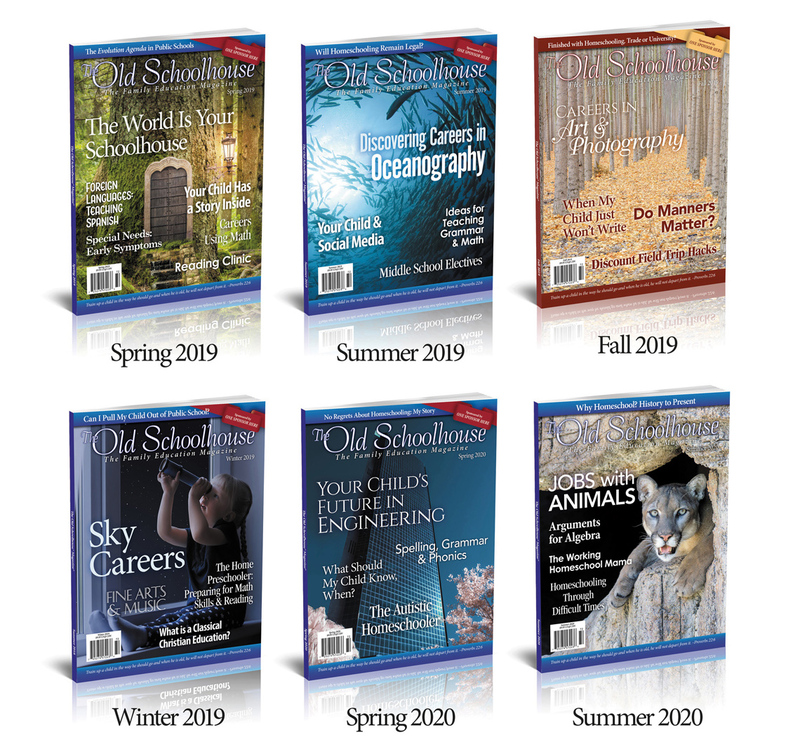 The Old Schoolhouse® Magazine is the creation of Paul and Gena Suarez, homeschooling parents of seven children, who wanted to make a difference by supporting and connecting the rapidly expanding homeschooling community, which has continued to explode with growth for decades. Homeschooling families worldwide have turned to The Old Schoolhouse® for resources to carry on the legacy of homeschooling. A whole generation of home-educated students is grown and now teaching their own children. It's an honor and blessing for us at The Old Schoolhouse® to serve first- and second-generation homeschoolers. inside the pages of The Old Schoolhouse® Magazine! Subscribe TODAY for yourself or a friend! 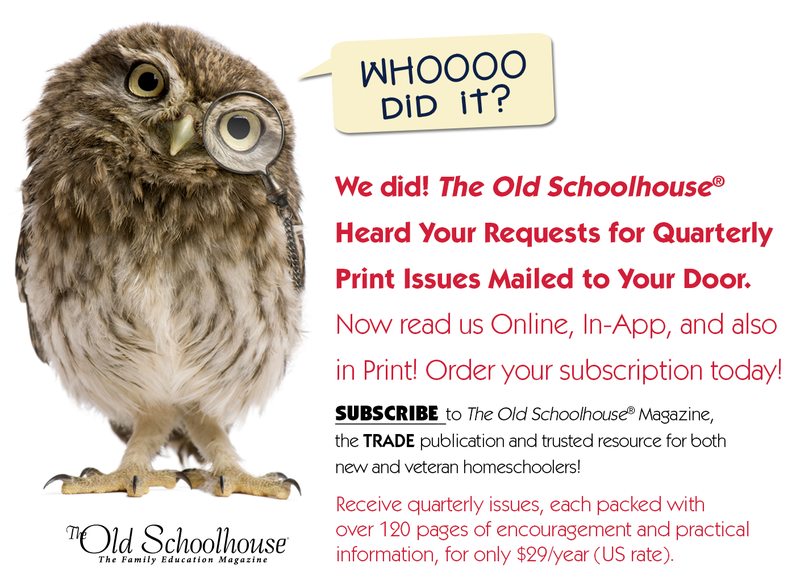 The Old Schoolhouse® Magazine got its start in 2001 as an eBay business and then a small email newsletter. Over the years it has transformed into a thick, color, glossy, print magazine--the trade publication for homeschool families worldwide. Found in stores like Barnes & Noble, Walgreens, Food City, Kroger and more, TOS Magazine also mails directly to subscribers! 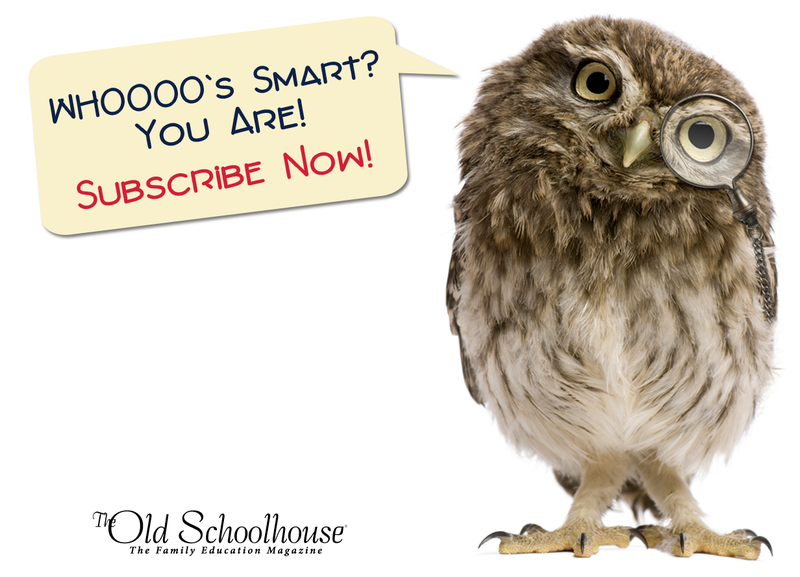 The Old Schoolhouse® Magazine is the trade publication for the homeschooling community around the globe. inspiring personal stories from real homeschooling parents. I really loved to see that there were articles for the homeschool dad!! It’s a rarity to find anything specifically written to the dad. Thank you, I will be sharing this issue with my husband!! ~ Autumn E.
Every issue is just like attending a homeschool conference, motivation galore! I receive many homeschool magazines, etc., but yours really stands heads above the rest. ~ Katrina V.